“Canelo” Alvarez, along with many of Gennady’s critics often question the credibility of opposition the knockout specialist has faced. Do they have a valid point? Have the other top “pound-for-pound” boxers been continually fighting a superior standard of opposition? 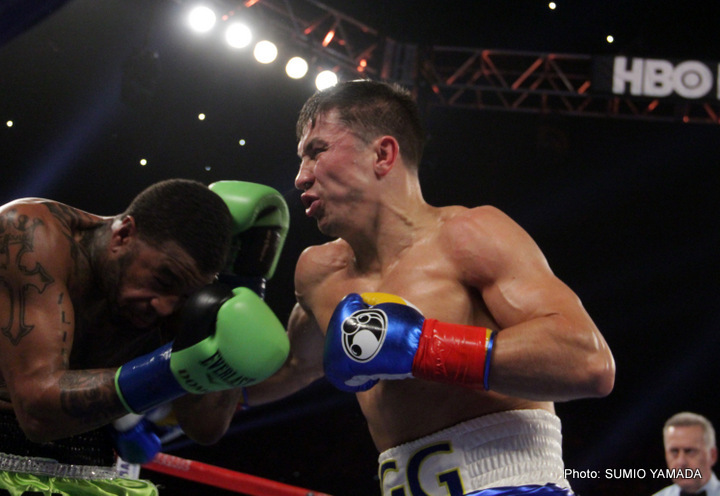 Since making his American debut on 1st September 2012, GGG has beaten six top 10 contenders, a statistic only matched by Danny Garcia and Adonis Stevenson. Significantly though, in this timeframe, while Stevenson has struggled in outpointing Andrzej Fontfara and many feel Garcia was fortunate to be given the decision against Mauricio Herrera, Golovkin has had no such difficulty. GGG stopped Grzegorz Proska in the 5th round in 2012, and every other opponent that has stepped into the squared ring with Gennady since, has also failed to hear the final bell. Clearly, the Californian based Kazakh has “earned his shot.” However, a convincing victory over pay per view TV star and Lineal champion, “Canelo”, would undoubtedly go some way to further silencing his detractors. Below is a list of ten of the most talented fighters in boxing today, ranked by the number of different top 10 opponents (as rated by the Transnational Boxing Rankings at the time that each particular fight happened) they have beaten since September 2012. *The world rankings of the four major organisations (IBF, WBO, WBC, WBA) do not accurately reflect who the best boxers in each weight division are. Case in point: arguably the five best heavyweights in the world – Klitschko, Wilder, Ortiz, Fury and Povetkin – do not feature in the IBF heavyweight top 10. Therefore the Transnational Boxing Rankings have been referred to in this article. For fights prior to the 11th October 2012 inaugural Transnational Boxing Rankings, The Ring Magazine ratings have been used.